President Joseph Kabila’s second term comes to an end in December 2016. With the presidential election still nearly two years away, his supporters have already tested various options for a possible extension of Kabila’s mandate beyond the constitutional two-term limit. The term-limit issue is, however, proving to be highly divisive, including within the ruling coalition. A simple revision of term-limits – similar to what Blaise Compaoré attempted in Burkina Faso – is not an option in the DRC: the constitution (Art. 220) stipulates that “the number and the duration of the mandates of the President of the Republic … cannot be made the object of any constitutional revision.” To revise term-limits would require adopting a new constitution or, alternatively, changing regime type by amending Arts. 70 and 71 to provide for indirect rather than direct election of the president, as in South Africa. Changing the mode of designation of the president would, arguably, reset the term clock to zero, allowing Kabila to present himself for election by the legislature for two new terms. The adoption of a brand new constitution has the support of some stalwarts within the ruling People’s Party for Reconstruction and Development (PPRD) who consider the existing fundamental text an illegitimate compromise between belligerent parties in the DRC’s civil war. Thus, in March 2014, the National Secretary of the PPRD, Claude Mashala, initiated a petition for a new “dynamic” constitution, better reflecting the needs for “national cohesion.” Undeterred by the Burkina experience, Mashala reportedly declared in November having attained the 100,000 signatures required to initiate a referendum, with his team working on regrouping the signatures by province before submission to the legislature. There are, however, also opponents within the presidential coalition to constitutional change, including prominent figures such as Senate President Kengo Wa Dondo and the powerful governor of Kabila’s home province of Katanga, Moise Katumbi. On a separate track, in September the government introduced a proposed constitutional amendment that would allow for the indirect election of provincial councilors (Art. 197). The proposal was met with staunch resistance by the political opposition, civil society and the Catholic Church, who saw this move as a ploy to change the mode of election of the president by the same stroke. In an already tense environment, the prospect of Kabila playing for overtime triggered widespread demonstrations in Kinshasa as well as Bukavu and Goma in eastern DRC. Police forces and the Republican Guard cracked down violently on protesters, killing as many as 42 people according to the International Federation of Human Rights (FIDH), a number contested by the government. The protest dynamic was distinct this time from previous demonstrations mainly initiated by political parties, as argued by Jason Stearns. Notably, the manifestations were more decentralized, university students played a greater role in both Kinshasa and Bukavu, and the homes of individual Kabila supporters were targeted. Social media also played an active part. This protest dynamic is reminiscent of the Burkinabe uprising that brought Compaoré down. The stand-off moreover shone a full light on divisions within the ruling elite. In a declared move to respond to the people’s demands, the Senate removed the contentious language from the bill referring to the need for a census ahead of the presidential poll and included reference to the election taking place in accordance with the constitutionally mandated timetable. Senate President Kengo Wa Dondo used the opportunity of the directly televised Senate session to take on the mantle of savior of the constitution. Ultimately, the final version of the bill that was passed into law on January 25 by both houses makes no mention of the census requirement, but also does not include direct reference to the timetable laid down by the constitution. The coming months are likely to see more of such tug-of-war between those who do and those who don’t favor an extension of Kabila’s stay in office. The diplomatic community has come out clearly against changing term limits, but the real test will lie in the internal balance of forces and tactics on either side. This entry was posted in Africa, Democratic Republic of Congo and tagged Constitutional Reform, DRC, Term Limits on February 4, 2015 by Sophia Moestrup. Last week, Ecuador’s constitutional court decided to allow a constitutional reform, which would effectively remove term limits and allow President Rafael Correa to run for re-election in 2017, go forward for a vote in congress. Given Alianza Pais controls 100 of the 137 seats in the Assembly, it looks almost certain that this reform will pass. Correa has already overseen a constitutional reform to allow him run for a third consecutive term. Attempts to reform term limits in Latin America are becoming a recurrent theme in my blog posts. 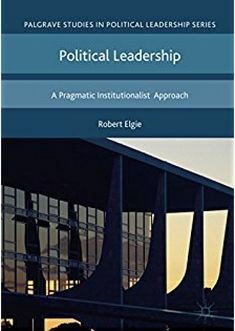 Initially, most Latin American constitutions, to avoid the perils of presidentialism and prevent the long-term concentration of power in the hands of a few, limited presidents to one term in office. In fact, in 1990, the Dominican Republic was the only country that allowed presidential re-election. But this has changed. In the 1990s, presidents such as Carlos Menem and Alberto Fujimori brokered deals to allow for an extension and/or redefinition of term limits. The trend has gathered pace in recent times. Under Hugo Chávez, term limits were abolished in Venezuela. In 2010, Álvaro Uribe received support from the parliament to hold a referendum, proposing to change the constitution to allow him run for a third consecutive term (this was stymied by the constitutional court). Last November, Daniel Ortega oversaw the abolition of term limits in Nicaragua. And this year, the Bolivian electoral council allowed Bolivia’s incumbent president, Evo Morales, to run for a third consecutive term in presidential elections this October, which Morales duly won with an impressive 61 per cent of the popular vote. Within this context, it makes sense for these leaders to attempt to abolish term limits. If they are acting on behalf of a discontented population, who view political elites as venal and corrupt, and by extension the institutions they have established, then the reform of these institutions is a logical next step, particularly the abolishment of term limits, as the populist, as the true agent of the people, should not be constrained by such institutions. So it comes as no surprise that we tend to see constitutional reform and the reform of term limits go hand-in-hand with populism. Having said that however, a caveat. Although it is something of a trope to suggest populism in Latin America is a much-debated concept, I had the pleasure of attending a recent talk here in Oxford by Kirk Hawkins, where Kirk highlighted the ongoing conceptual debates surrounding populism and proposed an ideational definition of the concept. Kirk’s definition has important implications. It suggests that populism is actually not that recurrent a feature of Latin American politics, despite a popular interpretation to the contrary. Secondly, Kirk’s definition eschews the organizational or political overtones to be found in the definition above (in addition to Dornbusch and Edwards’ classic economic conceptualisation of populism). Nonetheless, this definition also focused on how populists use a discourse to critique existing political elites (or actors). Again, even here, constitutional reform and the abolishment of term limits would seem to naturally follow such signals. Of course, when presidents win three or four consecutive terms, it becomes much more difficult to rail against the established political order, given they are now the political elite. That however, is an issue for another day. The court ruled that this proposal did not need to be approved by a popular referendum, but given Correa’s very high approval rating, this would most likely have been passed anyway. E.g. see Roberts, Kenneth M., 2007. “Latin America’s Populist Revival,” SAIS Review, Vol. XXVII (1), pp. 3-15. This entry was posted in Ecuador, Latin America and tagged Constitutional Reform, Populism, Term Limits on November 10, 2014 by David Doyle. The results of the June 4, 2014, mayoral and gubernatorial elections for South Korea show the opposition New Politics Alliance for Democracy with a slight edge of nine of 17 races, with the ruling Saenuri Party taking the remaining eight. Attention has turned to the interpretation of the results: do they constitute a win or lose, and for whom or which party? Without partaking in the horse-race evaluation of the outcomes, I underline two considerations related to Korea’s local elections that are useful for further examination: first, the significance of local elections for term-limited executives; second, what the outcomes indicate of party-building in South Korea. One important consideration regarding local elections is the significance of local elections for term-limited presidents. Local elections are often used as barometers of public support for the ruling government, notwithstanding the generally low turnout for these elections that may dent interpretation of how the election outcomes relate to public support. For term-limited presidents – such as in South Korea – these mid-term, off-year elections may take on added significance. On the one hand, they may be useful for rallying legislative support for the remainder of the presidential term to complete the presidential- or party-agenda. On the other, they may also open the door for disenchanted party-members to consider full revolt: witness former President Lee Myung-bak’s difficulties particularly in the latter part of his term, when the president’s declining public support reopened the door for current President Park Geun-hye to return to party leadership and reconstitute the Grand National Party into the Saenuri Party. To the extent that public support affects the legislative success of a president – studies show that presidents’ legislative success is highly tied to public satisfaction1 – a low public approval may lead a legislature to be more willing to challenge the president’s policy agenda. Given this consideration, term-limited executives may need to do more to incorporate public demands onto the presidential agenda to fend off such battles. Another relevant consideration regarding the local elections is: what do the outcomes reveal about party-building in South Korea? A previous blog post discussed the roles for political parties, and those should certainly be used towards understanding the outcomes. In this post, a narrower question is raised: do the local election results signify a role of political parties as vehicles to mobilize support for elections? The answer, it seems, is: No. Instead, the unexpected turn in the outcome – six weeks ago, the ruling party was expected to make a sweep in the local elections because of the then-high popularity of the president – suggests that political parties remain embryonic. That may be the bigger problem and tougher issue to resolve: almost 27 years since embarking on the democratization process, political parties continue to face challenges in their institutionalization. This entry was posted in Asia, South Korea and tagged Legislative challenge, local elections, party-building, Public support, Term Limits on June 6, 2014 by Fiona Yap.